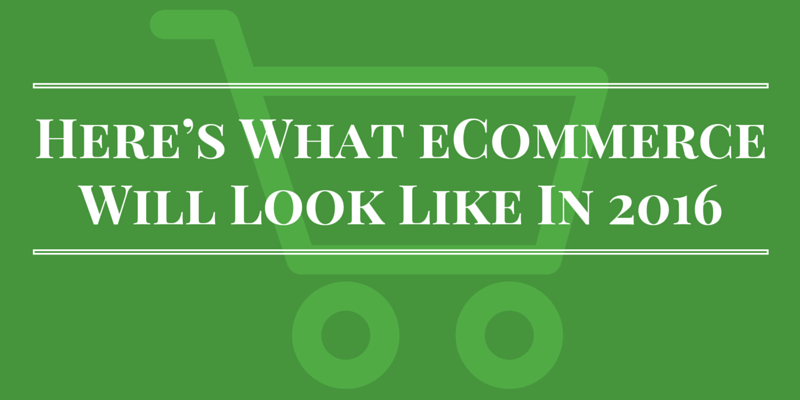 eCommerce websites are sprouting like mushrooms on a rainy day. We predict 2016 will be the year where eCommerce site owners will realize that going online does not guarantee sales. In fact, there are plenty of factors that create a successful eTail store. Your site’s look and feel matters. Magento open source is a fantastic eCommerce platform preferred by our eCommerce developers. It helps give the perfect UX/UI, enticing customers to spend with its sleek design features. Content strategy has various perceptions, but it’s not going away anytime soon. The truth is, investing in the right content strategy helps sell your products. Efficiently. The key is building the right content to promote products. Users no longer try a product without researching about it and the internet is filled with ready-made information. This gives us a great opportunity to build instant relationships by giving customers relevant content right next to the product – Bringing about instant gratification and lifelong loyalty. Drupal Commerce is the perfect eCommerce solution built on a CMS. This helps in delivering your content strategy efficiently to your customers. Customize your site the way you want it and create the perfect website – A site that helps in increasing the cart value by cross selling and up-selling products. These 5 key points will assist you in gathering enough data to create a user and season specific campaigns. Mass promotional campaigns no longer work, a certain level of analysis is necessary to market eCommerce efficiently. Customers are quite vocal about their needs and concerns. There are various social media platforms, forums and blogs that your target audience are quite active in. Participate in these arenas and understand your customers a little better. Being social will make customers reach out to you and build the much needed relationship. This is not a new trend, but recently, many businesses have noticed a negative impact as they were negligent to the customer’s concerns. This main factor pushed business to address customers’ concerns within a couple of hours when they are showcased on social media. It’s evident that social platforms can make and break a business. Your reputation can easily be hurt when a user visits their social media site and find the customer’s queries unanswered. Being social alone is not enough, but a profitable eCommerce site needs to be responsive, apologetic and genuinely care to make the right impact. It’s mandatory to have an active and responsive customer service. A business that always attends to their phone and responds to all their emails has the most loyal customers. It’s not acceptable to just have a well crafted and an optimized website, when you don’t provide the right after sales support. Having the best customer-care team will make up for the major blunders that take place during the sales and delivery process. It’s expensive to get a new customer to a website and it’s wise to retain your existing user base by building the loyalty factor. Stellar customer support is the best investment to make in order to build customer loyalty and increase repeat sales! Free shipping is becoming a common norm in the eCommerce industry. Users love freebies and when your eCommerce site gives free shipping in comparison to your competitor, you are sure to score the deal. Similarly, a free return policy is another fact that gives you more returns than the amount you would invest in getting the product shipped back to you. These small favors add up to big things, like happy customers talking about your world-class services to their friends and their social networks. Indeed, the 2016 eCommerce trends will be focused on providing excellent customer-centric service and marketing campaigns. The power of data and loyalty will play a major role in designing the eCommerce process. Want to get your eCommerce site optimized or refined? Contact us now!